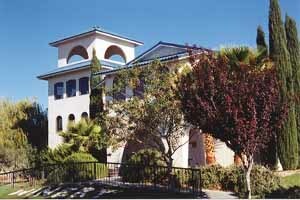 The Pahrump Winery, Nevada’s first and only, is an hour west of Las Vegas via Nevada 160 (exit I-15 at Blue Diamond Rd). At Pahrump the buzz is all about the sale of the state’s first and only Winery to Western Horizon Resorts, a Colorado company which is now building a new 250-unit RV Park alongside the landmark blue-roofed winery building. I stayed at Saddle West (recommended), one of three small casinos adding the cheerful clatter of coins to this fast-growing city in far southern Nye County. There’s a new Wal-Mart store in town now, but the Smoke Signals Trading Post has moved to Ely. After two years and 6,081 miles traveling to each of Nevada’s 17 counties with a microphone and digital minidisc recorder, reporter Jon Christensen’s epic public radio series “Nevada Variations” can now be heard in its entirety on the Web. 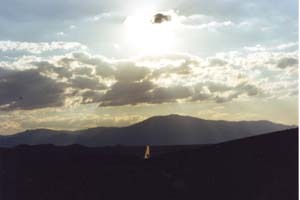 The series features an in-depth story from each of the Silver State’s counties and can be found on Nevada Public Radio’s Website, and at GreatBasinNews.com, a regional Web magazine. Mark your Calendar and head for Virginia City on Saturday April 5th for the 12th Annual Mountain Oyster Fry (known fondly among the locals as the Testicle Festival). If you want to participate, call the Chamber of Commerce for information, an entry form, rules and guidelines (775) 847-0311. Good news from Battle Mountain: The Owl Club on Front Street will re-open April 1 with full restaurant service, rooms upstairs and a small casino. This historic property has been a major landmark for travelers since it opened facing the railroad tracks. Donna’s Diner, alas, is still closed, but The Owl Club chefs are perfecting their scones and will maintain this local tradition. Also, the Armpit Festival, with major underwriting by Old Spice, is scheduled for August 16 and 17. Meet the MaryJane Sisters, Mary and Jane, whose idea of a dream vacation is to travel together around Nevada and enjoy the local flavors: “You know how people tell you “you can’t get there from here”? Well it’s not like that in Nevada. 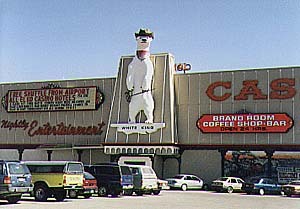 You can get almost anywhere from anywhere in Nevada. 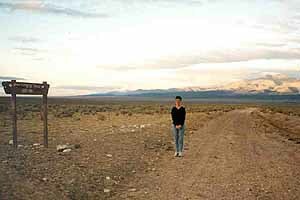 The network of unpaved roads will take you on a journey through the real Nevada, which can’t be seen from the highway. You may even go back in time as you trek the desert valleys and mountain canyons.”. “We like to have a tentative itinerary subject to modification as we go,” she said. And so it was that the Sisters were dancing with some cowboys in Elko one night when somebody mentioned the two-headed calf at the Jiggs Bar. “He said the Jiggs Bar was the best place in town, not to mention the only place in town. Besides, his uncle owned the Jiggs Bar. “One thing you must not do is tell the MaryJane sisters about an oddity or peculiar place, if you are not prepared to back up your facts,” Mary told me. Soon they were driving to Jiggs. “I was impressed with the open range, cows grazing along side the road turned their heads and looked at us as we drove by. 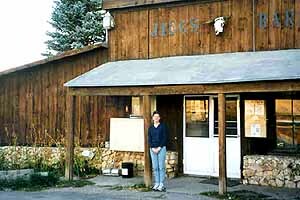 “Jiggs isn’t exactly a town but it definitely has the two important buildings any town in Nevada should have: the town saloon, and across the road, the garage for the volunteer fire department. Now that’s a well-planned town..
Jane (or is it Mary?) at the Jiggs Bar. “The Jiggs Bar was old. We walked in and said we were looking for the 2-headed calf. I felt like I walked in off the desert but we got lucky. Not only was the two-headed calf on the wall, there was a boar, deer, jackalope and numerous antlers and a white porcupine in a glass display case. There was a pool table but no jukebox. A donation to the VFD earned us souvenir hats..
“We asked the proprietor and his patrons for advice about the route to Eureka and we were given detailed directions regarding the 50 miles of unpaved roads ahead. We were told, “don’t make any left turns until you get through the valley.” With a few more details and words of encouragement, we headed off, confident that we wouldn’t get lost..
“The county road was easy to drive and the scenery was awesome. 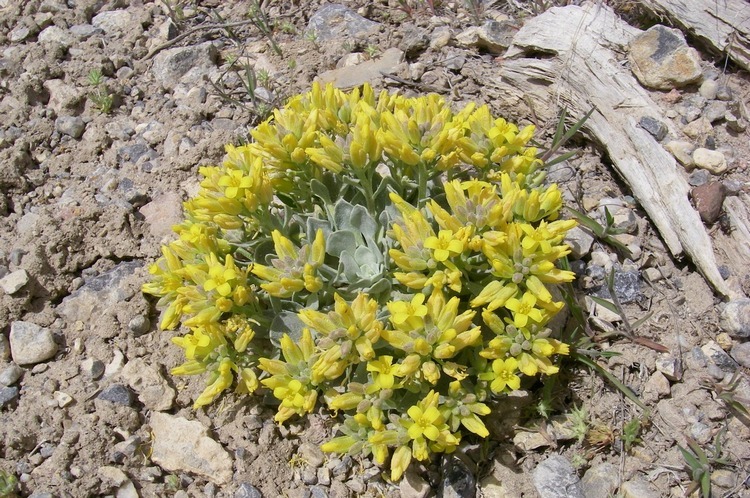 The sky was clear and the Ruby Mountains were subtly radiant in shades of blue and gold in the late afternoon sun. We were the only ones on the road, which made our journey even more exciting. The feeling of freedom that comes with traveling the open road is hard to beat..
Mary (or is it Jane?) at the Pony Express Trail crossing. We were pleasantly surprised to come across a historical point of interest. The Pony Express Trail crossed our path! We took advantage of a photo op and took a few minutes to practice tracking wild game.. The dirt road eventually turned to black top as we drove through Strawberry to Highway 50. By this time it was getting dark and we knew Eureka wasn’t very far away. We were looking forward to a ‘hot time in the old town tonight’..